Russian metals producers expanded aggressively during the first half of 2008 with Rusal, boosting its foreign debt to $14 billion. Now owner, Oleg Deripaska is looking for investors to help rescue the company. In the face of the crisis he even settled a long-going conflict with the head of Interros Vladimir Potanin over the management of Russia’s nickel producer Norilsk Nickel. Potanin noted it was time to start focusing on the companies. While companies freeze their projects, demand for metals is shrinking and producers urge the government to increase state purchases. Michael Kavanagh, Metals Analyst at Uralsib, says it may help, but the state would have to buy a lot. The government is also supporting industry directly, by underwriting companies’ balance sheets. The four largest metals producers have already received money from state-owned VEB bank. Rusal in particular got $4.5 Billion from the bank, offering a 25% stake in NorNickel as a guarantee. Vladimir Potanin reportedly pawned a 20 percent stake in Nornickel for a $3 Billion loan. 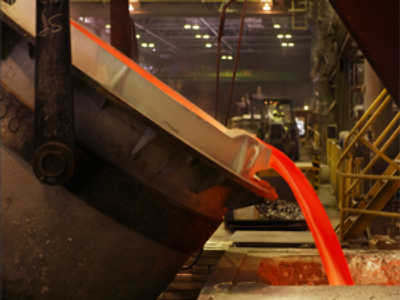 It means the government now controls about 50 percent of Russia’s largest nickel producer. However, Oleg Deripaska says there will be no nationalization. Market watchers don’t expect any defaults among the top 5 metals producers but say small players are likely to suffer more. If the situation doesn’t improve they expect first bankruptcies among smaller companies in the second quarter of 2009.